Chakra crystal healing bed is an innovative healing method that utilizes color & light therapy to rejuvenate your mind and body with spiritually-charged chakra-balancing quartz crystals. Chakra crystal healing bed is beneficial to your overall health because it balances the energy within your body to leave you feeling relaxed and less stressed. Before getting into the process of chakra crystal bed healing, it might be beneficial to understand what chakra areas are. Chakras are basically vortexes within the human body. They are funnel-shaped energy centers, and although they are not visible or detectable by traditional medicine, many of their meridian points correspond with nerve bundles found in the body. The concept of chakras originated with yoga philosophy, and it is believed that if chakras become blocked, then your energy that promotes overall health becomes stunted. How Does a Crystal Healing Bed Work? Chakra crystal healing bed combines the power of color & light therapy with that of crystal healing therapy. 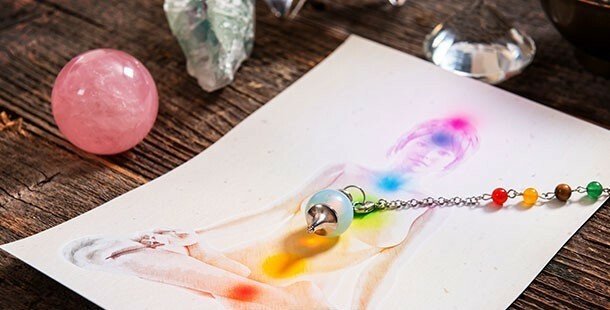 Color is transmitted through crystals onto the corresponding chakras, which cleanses, energizes and brings that targeted chakra back into balance with the others chakras in the body. There are seven chakra points within the body each of which corresponds to a certain color filtered through crystals. What to Expect in a Chakra Crystal Healing Session? Undergoing a chakra crystal healing session is extremely easy because all the individual has to do is rest face up on the bed with his or her eyes clothes, soaking in the energy provided by the color, lights and crystals. Sessions can be anywhere from 20 to 45 minutes long, depending upon the individual's reason for undergoing the session. How often you should receive the treatments is also influenced by the reason you're receiving them. They are safe enough to be undergone every day, if need be. ‹ What is LPG Body Massage?